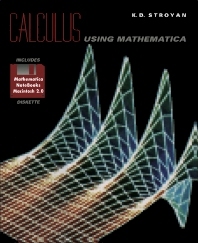 Calculus Using Mathematica is intended for college students taking a course in calculus. It teaches the basic skills of differentiation and integration and how to use Mathematica, a scientific software language, to perform very elaborate symbolic and numerical computations. This is a set composed of the core text, science and math projects, and computing software for symbolic manipulation and graphics generation. Topics covered in the core text include an introduction on how to get started with the program, the ideas of independent and dependent variables and parameters in the context of some down-to-earth applications, formulation of the main approximation of differential calculus, and discrete dynamical systems. The fundamental theory of integration, analytical vector geometry, and two dimensional linear dynamical systems are elaborated as well. This publication is intended for beginning college students. 5.1. How Small is Small Enough?